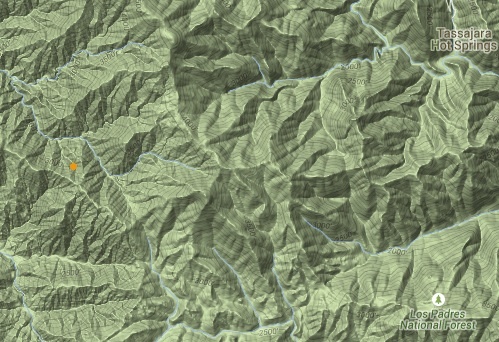 LightningMaps.org map showing approximate location of lightning strike near the headwaters of the North Fork Big Sur River. A thunderstorm is now moving over the Ventana Wilderness and, in addition to the strike depicted above, lightening strikes have been detected near Pinyon Peak, just downstream from Lost Valley and, most recently (3:00 pm), in the wild country between Zig Zag and Willow Creeks and near San Antonio Camp. A far more vigorous storm has been working over the Southern Diablo Range near Coalinga and Ft. Hunter-Liggett has also reported downstrikes. Let’s hope there’s some significant rain falling. It’s pretty dry out there. 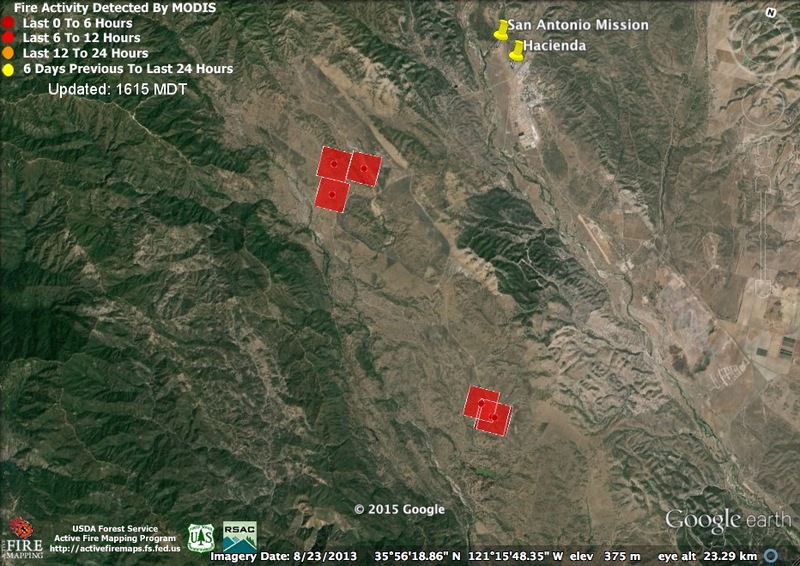 June 11 2015 Update: No fires have yet appeared in the Ventana Wilderness as a result of yesterday’s lightning, but a fire, named the Peanut Fire, is now burning near the Nacimiento-Fergusson Rd. in Ft. Hunter-Liggett. As of noon today, it had burned 700 acres and there are rumors that it may burn as much as 3,000 acres before it’s through. No word on the situation with the NF road, but it is probably safe to assume it is closed through the fort. A couple of years ago we discussed the fact that May and June are the prime months for bear sightings on the Monterey Peninsula. 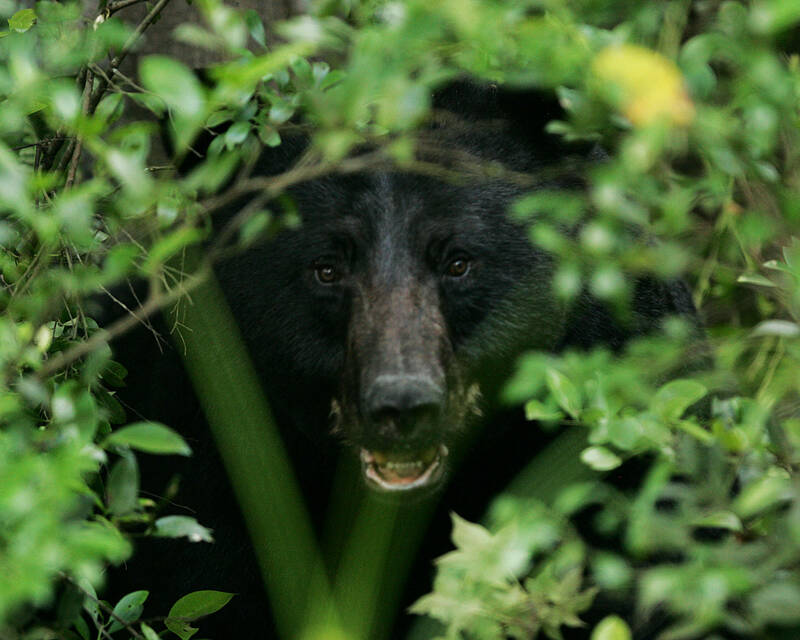 This is because May and June are the months when male and female black bears wander beyond the usual limits of their territories in search of mates. So it’s not a surprise that a black bear was spotted on lower Robinson Canyon Rd. in Carmel Valley earlier this week. Always good to know they’re out there. See the San Clemente Rancho Facebook page for pics. You are currently browsing the Xasáuan Today blog archives for June, 2015.